Taking a content-led package allows you to target users with in-depth news, information and insights on your organisation. Discover how our editorial team can help you to engage with your key targets. Featured articles give you the opportunity to highlight your successes and share your news with the senior air service development professionals. Place your brand on a hot topic of interest to our users, with the added feature of detailed analytics and reporting on the audience profile. Bespoke video and social media packages can be made available upon request, contact the Routesonline team for more details. 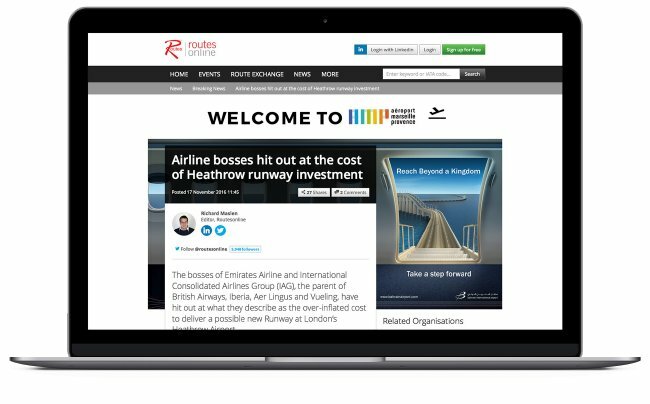 Email us for further information or call +44 161 234 2730 to speak to a member of the Routesonline team.